Sister Mary Kathryn Dougherty, O.S.F. Recently President Trump ordered the reduction in size of two important national monuments in Utah — Bears Ears and Grand Staircase-Escalante. On many levels, his actions serve only to disconnect us from each other and from the land itself. Our system of national monuments helps us not only to care for creation, but also to care for each other by lifting up the stories embodied in the land. History books may contain words, but national monuments are the direct experience of our collective narratives. In Pennsylvania, we understand this value of land conservation. Our state contains more than 4 million acres of public land critical for recreation, spiritual reflection and the betterment of human health. We are also home to several national historical sites and national memorials that preserve the stories of America’s growth and development. Both Bears Ears National Monument, established by presidential proclamation on Dec. 28, 2016, and Grand Staircase-Escalante, designated in 1996, are powerful examples of national monuments that not only protect ecologically important land, but also preserve sacred sites in America. Bears Ears is a priceless historic, cultural and natural wonder. As originally designated, it protects 100,000 archaeological and cultural sites, and honors the voices of five tribes in Utah who united to seek protection for their shared ancestral lands and traditions. Similarly, Grand Staircase-Escalante conserves countless archaeological and cultural sites, including some of the most important dinosaur fossils in North America. One could rightly argue that national monuments, which preserve both our cultural heritage and the environment, are examples of our common home. Their protection is an accurate interpretation of integral ecology. The designations of Bears Ears and other national monuments were accomplished under the authority of the Antiquities Act, the first law to establish that public lands are critical to America’s heritage. The law authorizes the president to protect landmarks, structures and objects of historic or scientific interest by designating them as national monuments. Since 1906, American presidents from both political parties have designated national monuments under the Antiquities Act, so that future generations may experience and benefit from our nation’s open spaces, historic sites and cultural treasures. History has validated the wisdom of giving presidents this authority – nearly half of America’s national parks were originally protected by the Antiquities Act, including the Statue of Liberty and the Grand Canyon. And yet, despite the track record of the Antiquities Act and the special and unique places it has preserved for Americans, current legislation considered in Congress would further undermine Bears Ears, Grand Staircase-Escalante and the ability of future presidents to protect unique ecological and cultural lands for the benefit of all Americans. From historic sites that remind us of our legacy to iconic national parks that offer recreation and restoration, memorable family reunions and inspiring vacations, our nation’s parks and public lands are the beloved embodiments of God’s power and love. It is our responsibility to care for creation, and our duty to preserve and honor the story of all Americans. In this way, we ensure that all of our children have equitable access to healthy recreation and the opportunity to find their own story in our park system. National monuments are our collective stories. They are us. I urge our elected officials in Pennsylvania and in the Trump Administration to heed this critical connection, and to preserve our history and heritage as told through our public lands. To diminish our national monuments is nothing less than to erase essential chapters in the great book of America. 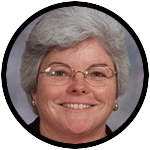 Sister Mary Kathryn Dougherty, O.S.F., is the congregational minister of the Sister of St. Francis of Philadelphia. Look at the abuse and persecution of the Native Americans at the hands of the Christians and Catholics who came by the millions and stole their lands. As a Utahn, I’d like to thank Sister Mary for her support for America’s public lands in Utah. They are in extreme peril and it would be to the detriment of all Americans, the rightful owners of the land, if they were denied appropriate protection. I appreciate it when citizens from other states add their voices to those of us here in Utah who want to preserve these great open spaces for future generations.